The Transport Corporation of India (TCI), in collaboration with IIM Calcutta, commenced the 3rd edition of the joint study report titled â€œOperational Efficiency of Freight Transportation by Road in Indiaâ€�. 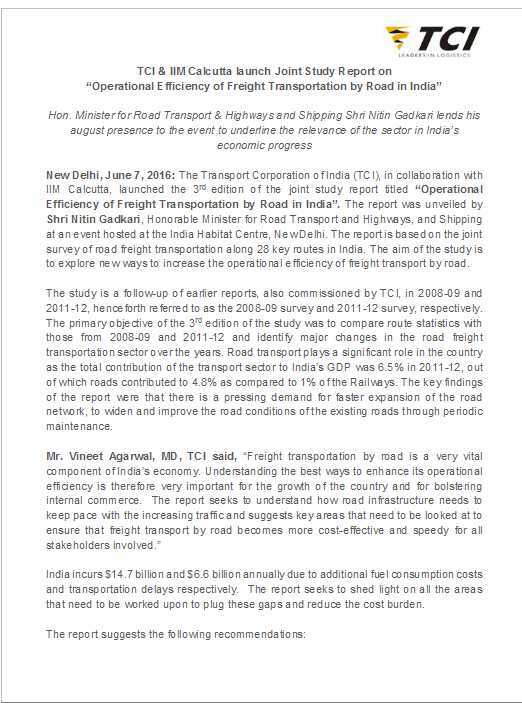 The report was uncovered by Shri Nitin Gadkari, Honorable Minister for Road Transport and Highways, and Shipping at an event hosted at the India Habitat Centre, New Delhi. The report was based on the joint survey of road freight transportation along 28 key routes in India. 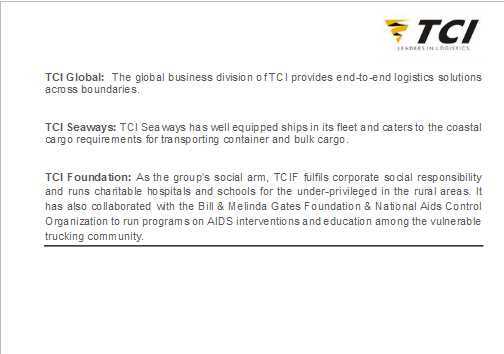 Its aim was to explore new ways to increase the operational efficiency of freight transport by road. The study was a follow-up of earlier reports, also commissioned by TCI, in 2008-09 and 2011-12, henceforth referred to as the 2008-09 survey and 2011-12 survey, respectively. The primary objective of the 3rd edition of the study was to compare route statistics with those from 2008-09 and 2011-12 and identify major changes in the road freight transportation sector over the years. Road transport plays a significant role in India as the total contribution of the transport sector to Indiaâ€™s GDP was 6.5% in 2011-12, out of which roads contributed to 4.8% as compared to 1% of the Railways. 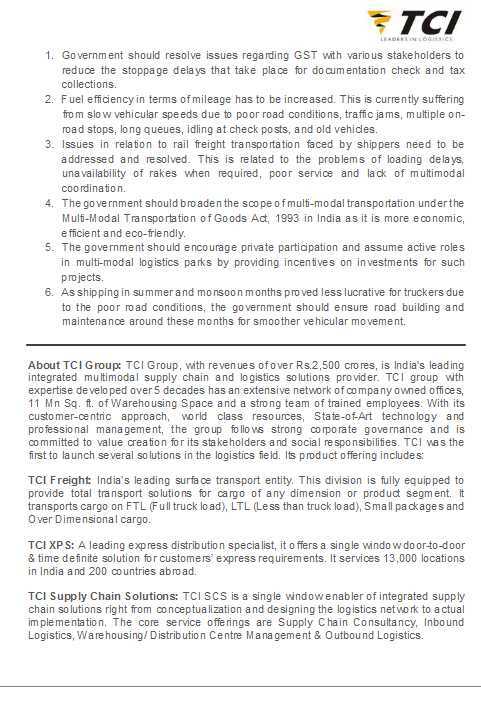 Can you provide me the TCI & IIM Calcutta launch Joint Study Report on - Operational Efficiency of Freight Transportation by Road in India â€“ 2016?